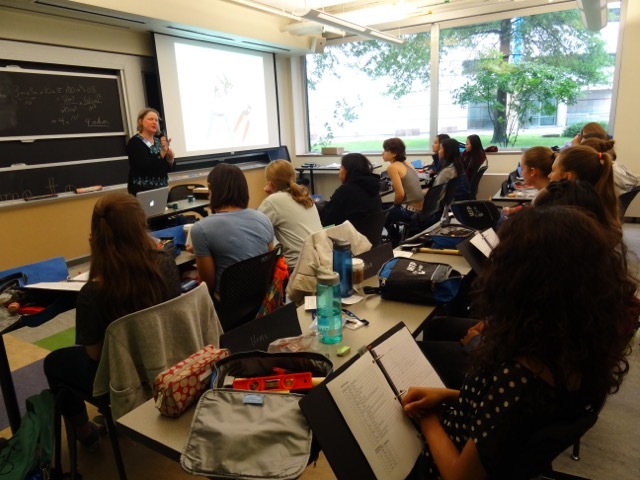 Barbara Hughey is the coordinator of the Women’s Technology Program in Mechanical Engineering (WTP-ME) at MIT, a four week summer program for high school junior girls that teaches the basic principles and ideas of mechanical engineering. 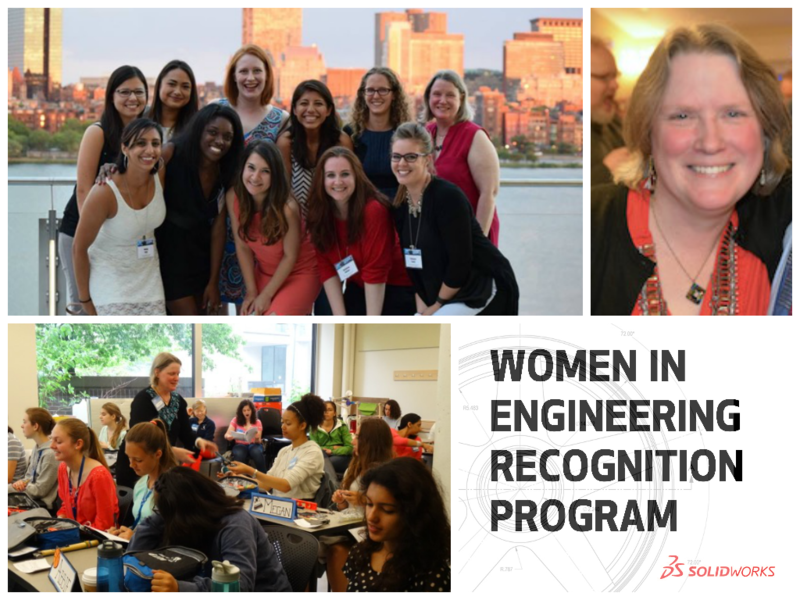 Not only does WTP-ME support the SOLIDWORKS initiative of celebrating women in a so called “male dominated” industry but, it also helps bring future female engineers into the field who may not have considered joining in the first place. 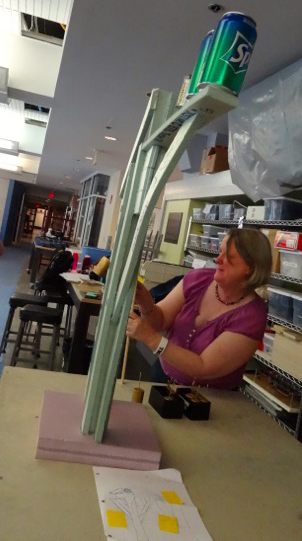 For that and her other outstanding achievements, Barbara is our newest Women in Engineering Recipient! Surprisingly, the founder of the Women’s Technology Program was a male graduate student; he couldn’t help but notice that there was a lack of women in the Electrical Engineering and Computer Science Department and decided to do something about it. In 2006, four years after the Women’s Technology Program in Electrical Engineering and Computer Science (WTP-EECS) was established, the Dean of the School of Engineering at MIT decided that he wanted to expand the program into another department, and mechanical engineering was the obvious choice at the time; “there was only one female tenured professor. Also, the number of undergraduate majors was around 30%.” Both programs ended up being a huge success and the WTP-ME recently had their 10th anniversary! The four week program is basically split in half; the first 2 weeks are dedicated to teaching them the fundamentals of mechanical engineering. Week one primarily focuses on statics, “We start with your basic static physics, including static torque, but then we quickly move into mechanical engineering topics such as materials and structures and static fluids. We also have a corresponding thread on design, because design at MIT mechanical engineering is really strong.” They also learn technical drawing by hand that first week which eventually leads into teaching the students SOLIDWORKS. Then in the second week, they go over dynamics and get a little introduction into computer programming as it relates to Mechanical Engineers. The last two weeks of the program is when it really picks up. At this point the students have gone over the fundamentals and are ready to take a deeper dive into the different aspects of mechanical engineering that interest them the most. “The third week they’re working independently in pairs on a poster project. We give them a project which we try to tailor to their interests. I give them a little survey to find out what they’re interested in and I match them up in pairs with a mentor who’s often a grad student, but sometimes a professor.” Barbara recalls how one year, a group of girls created a robotic pair of shoes that adjusted based on the type of terrain one is walking on; they could go from webbed feet like a duck’s if the ground is spongey and wet, and then when walking in a rocky environment, the shoe could switch to something similar to a goat’s hoof. Interested in learning more about the Women’s Technology Program at MIT? Visit their website for more information!